Turnierpaare, die nicht in den Endrunden der Abendveranstaltung mittanzen, erhalten die Ballkarte zum Vorzugspreis von 7,50 EUR. Wir würden uns freuen, wenn Ihr - auch falls Ihr nicht mehr aktiv am Turnier teilnehmen solltet - Eure MitstreiterInnen lautstark unterstützen würdet. 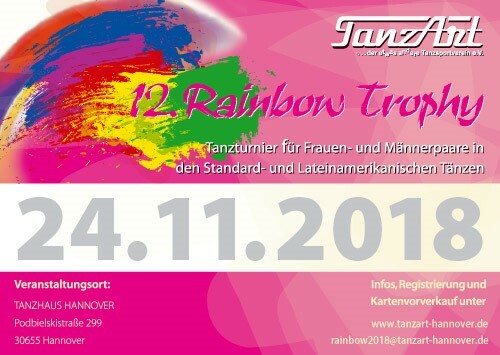 TanzArt Hannover welcomes you to celebrate the 12th Rainbow-Trophy in the wonderful premises of the Tanzhaus Bothe in Hannover on 24 November 2018. 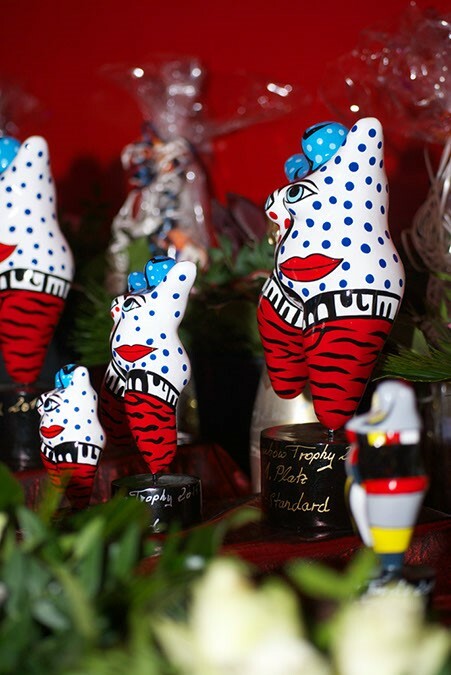 Many of you already had the pleasure to enjoy the wonderful atmosphere and the exciting competitions of the Rainbow Trophies of the past years. The couples who do not qualify for the finals (evening event) can get the tickets for the ball at a preferential price of 7,50 EUR per ticket. We would be very happy to welcome you as our guests at the ball and we would appreciate if you support the couples in the finals - even though you might not have qualified for the finals. Die Nanas warten schon auf die Sieger 2018!